Regardless of your field of study, communication skills are one of the most important determinants of career success. Without them, your best ideas and intentions remain unknown or, perhaps worse, mistaken. Many of us are blessed with good oral skills but flounder when it comes to putting those words on paper. Even if for the simple fact that employers look first at your written resume and second at your speaking ability, teachers should treat writing pedagogy with the highest form of respect. Writing well is all about keeping your reader in mind. Readers want sentences to open with subjects that are short, clear, simple, concrete, and familiar. Right after that short subject, they want to see a verb that expresses an important action. And at the end, they want new information presented with a punch. While it’s easier to see sprawl or inelegance in the writing of others than in your own – if only because you know what you want your sentences to mean before you read them – it is not as difficult as you may think to remain in control of the way you communicate. Below are 15 tricks you can use in the classroom to help students get their messages across. The Federalists’ argument in regard to the destabilization of government by popular democracy was based on their belief in the tendency of factions to further their self-interest at the expense of the common good. This sentence is unclear because most of the actions are nouns, not verbs: argument, destabilization, belief, tendency. The Federalists argued that popular democracy destabilized government, because they believed that factions tended to further their self-interest at the expense of the common good. This sentence is clear because all the actions are verbs: argued, destabilized, believed, tended. Our lack of data prevented evaluation of UN actions in targeting funds to areas most in need of assistance. Because we lacked data, we could not evaluate whether the UN had targeted funds to areas that most needed assistance. 2. Make Main Characters Subjects. Once upon a time, as a walk through the woods was taking place on the part of Little Red Riding Hood, the Wolf’s jump out from behind a tree occurred, causing her fright. Once upon a time, Little Red Riding Hood was walking through the woods, when the Wolf jumped out from behind a tree and frightened her. The fear of the CIA was that a recommendation from the president to Congress would be for a reduction in its budget. The CIA feared the president would recommend to Congress that it reduce its budget. “Reading a children’s book with pages is very different yet similar to reading a children’s book on a web page that includes animation and sound. Both are interactive but require different skills to be able to read either one. It is only now in the year 2000 that reading a story from the Internet is a common occurrence where five years ago it was a very foreign, strange idea. Because computer technology is so recent, it is hard to not constantly compare it to the previous technology which we are so used to: the printed book. It is hard to accept the difference between feeling the pages, touching the paper, and reading the story from front to back. But now it is possible to have animation illustrating the text, sound highlighting the actions, and different options for the sequence of the text. As you carefully read what you have written to improve wording and catch errors of spelling and punctuation, the thing to do before anything else is to see whether you could use sequences of subjects and verbs instead of the same ideas expressed in nouns. As you edit, first replace nominalizations with clauses. In every sequence of sentences you write, you have to balance principles that make individual sentences in a passage clear and principles that make the whole passage cohesive. But in that tradeoff, give priority to helping readers create a sense of cohesive flow. Which sentence below would you say is the more active of the two, as they stand, alone? The collapse of a dead star into a point perhaps no larger than a marble creates a black hole. A black hole is created by the collapse of a dead star into a point perhaps no larger than a marble. In the first sentence, “create” is an active verb; in the second sentence, it is passive. But which of the two sentences fits best within this paragraph? Some astonishing questions about the nature of the universe have been raised by scientists studying black holes in space. [_____]. So much matter compressed into so little volume changes the fabric of space around it in puzzling ways. Even though sentence (a.) is a better sentence on its own than sentence (b.) because it is more active, sentence (b.) actually fits more cohesively within the paragraph because it begins with the words we were just introduced to at the end of the previous sentence. If we plugged in sentence (a. ), the first concepts we hit are collapsed stars and marbles, information that seems to come out of nowhere. 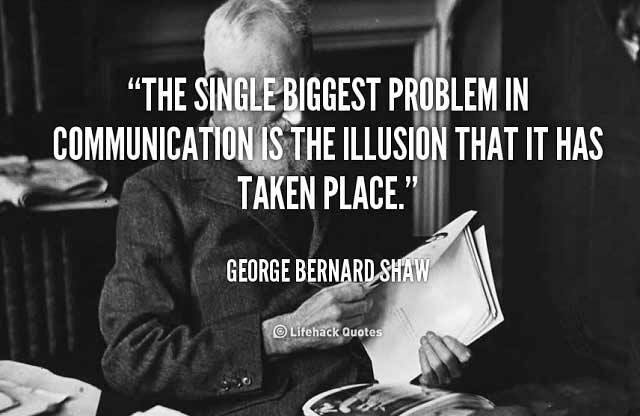 Good communicators depend more on the clear flow of their ideas. In Style: Ten Lessons in Clarity and Grace, Joseph M. Williams writes about the “psychological geography” of a sentence. Just as we look at the first few words of a sentence for point of view, he says, we look at the last few words for special emphasis. You can manipulate a sentence to emphasize particular words that you want readers to hear stressed and thereby note as particularly significant. Sociobiologists claim that our genes control our social behavior in the way we act in situations we are in every day. Sociobiologists claim that our genes control our social behavior. 8. Shift peripheral ideas to the left. The data offered to prove ESP are too weak for the most part. For the most part, the data offered to prove ESP are too weak. 9. Shift new information to the right. Questions about the ethics of withdrawing intravenous feeding are more difficult than [something just mentioned]. More difficult than [something just mentioned] are questions about the ethics of withdrawing intravenous feeding. 10. Use the stress of a sentence that introduces a passage to announce the key concepts that the rest of the passage will develop. 11. Use the end of a sentence to introduce long, complex, or otherwise difficult-to-process material, particularly unfamiliar technical terms and new information. A determination of involvement of lipid-linked saccharides in the assembly of oligosaccharide chains of ovalbumin in vivo was the principle aim of this study. In vitro and in vivo studies utilizing oviduct membrane preparations and oviduct slices and the antibiotic tunicamycin were undertaken to accomplish this. The principle aim of this study was to determine how lipid-linked saccharides are involved in the assembly of oligosaccharide chains of ovalbumin in vivo. To accomplish this, studies were undertaken in vitro and in vivo, utilizing oviduct membrane preparations and oviduct slices and the and the antibiotic tunicamycin. 12. Use the stress position at the very end to emphasize words that you want your readers to hear emphasized in their mind’s ear. The administration has blurred an issue central to arms control: the issue of verification. Irresponsible change, innuendo, and leaks have submerged serious problems with Iranian compliance. The issue of verification–so central to arms control–has been blurred by the administration. Serious problems with Iranian compliance have been submerged in irresponsible changes, innuendo, and leaks. Generally, we don’t have patience for sentences that open with long introductory phrases and clauses, because as we read them, we have to hold in mind that the subject and verb of the main clauses are still to come, and that frustrates easy understanding. You may be accustomed to telling your students not to write long sentences, but in truth you cannot communicate every complex idea in short ones, so you have to know how to write a sentence that is both long and clear. This is where shape comes in. 13. Get to the Subject Quickly. Since most undergraduate students change their major fields of study at least once during their college careers, first-year students who are not certain about the program of studies they want to pursue should not load up their schedules to meet requirements for a particular program. Most undergraduate students change their major fields at least once during their college careers, so first-year students should not load up their schedules with requirements for a particular program if they are not certain about the program of studies they want to pursue. 14. Get to the Verb and the Object Quickly. A company that focuses on hiring the best personnel and then trains them not just for the work they are hired to do but for higher-level jobs is likely to earn the loyalty of its employees. When a company focuses on hiring the best personnel and then trains them not just for the work they are hired to do but for higher-level jobs, it is likely to earn the loyalty of its employees. 15. Use Modifiers to Extend Sentences. Resumptive: When we discovered the earth was no the center of the universe, it changed our understanding of who we are, an understanding changed again by Darwin, again by Freud, and again by Einstein. (You resume the word “understanding,” allowing you to add further information). Summative: American productivity has risen to new heights, an achievement that only a decade ago was considered an impossible dream. (You extend the sentence by summarizing “American productivity has risen to new heights” as an achievement). Driven by an insatiable curiosity and haunted by a vision of artistic perfection, Leonardo DaVinci was a man of powerful intellect.